The International Red Cross Red Crescent Movement has launched “Our World Your Move”, an international campaign highlighting the challenges faced by people in need throughout the world as well as the actions that can change their lives. 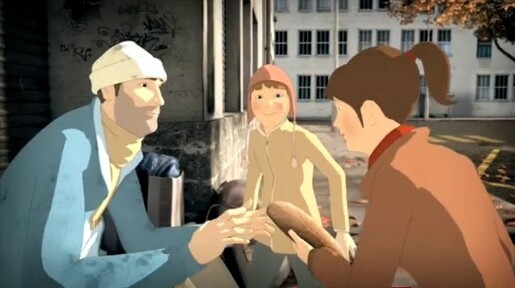 The campaign, developed for The International Commitee of Red Cross and the International Federation of Red Cross by Saatchi & Saatchi, includes a series of public events around the globe, a web site, ourworld-yourmove.org, and “Simple Gestures”, an animated and inspiring commercial. The creative concept shows the earth as a giant puzzle, and urges people to move pieces of the earth to their proper place, thus making a move to improve humanity. The ‘Our world. Your move.’ campaign is a call to action. Our world faces unprecedented challenges, ranging from conflict and mass displacement to climate change, migration and a global financial crisis. We have a collective responsibility to make our world a better place. It’s up to each of us, as individuals, to make a move and do something to help others. Young or old, we can all make a difference. Simple gestures can make a difference. Make yours. In 2009, the International Red Cross and Red Crescent Movement is commemorating the 150 year anniversary of the battle of Solferino. It was there that a young Swiss businessman, Henry Dunant, did not look away but took action and moved quickly to organize civilians to help thousands of unassisted wounded soldiers. The ‘Our world. Your move.’ campaign will be celebrating the enduring importance of Henry Dunant’s humanitarian gesture. In 2009, we are also marking the 90th anniversary of the founding of the International Federation of Red Cross and Red Crescent Societies (IFRC) and the 60th anniversary of the Geneva Conventions, which give protection to the most vulnerable people in times of war. The Simple Gestures ad was developed at Saatchi & Saatchi Switzerland by creative director Philippe Schwaar, art director Gabriel Mauron, copywriter Fraser Grant, TV producer Lamar Hawkins, digital producer Jose Vargas, account team Flavia Engelman, Leyla Rosatti, Lorna Mccomish and Laria Gentile. Animation was produced at Wanda Productions by director Damien Ferrié, executive producer Claude Fayolle, and post producer Olivier Glandais. Digital production was done at B-Tween by producer Cédric Müller and developer Mark Winterhalder. Sound was designed by Jeff Savary. Music is “Big Big Love” by The Foals, a band from Oxford, England, signed with Warner Music-Universal Music.